We get a lot of rain each year. It’s what I call a “high energy” environment! 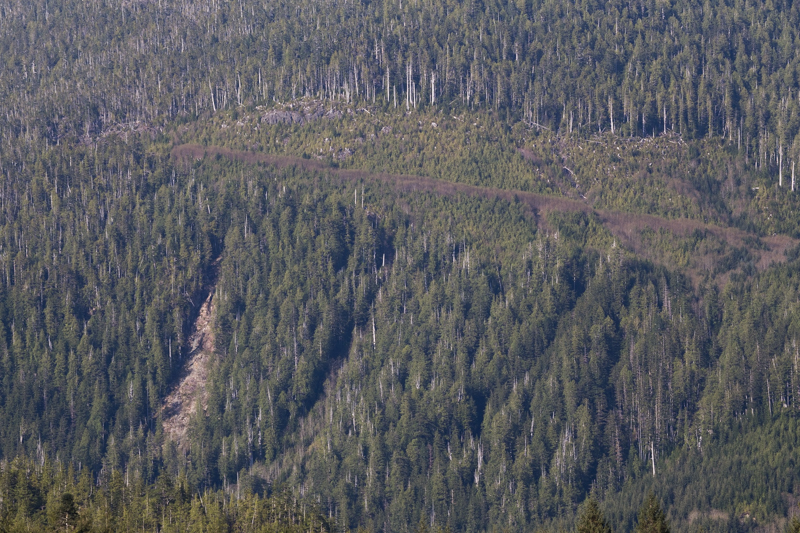 When logging is done on a steep slope,the heavy rains can wash away the soil. This in turn makes the sediments unstable & creates these landslides. 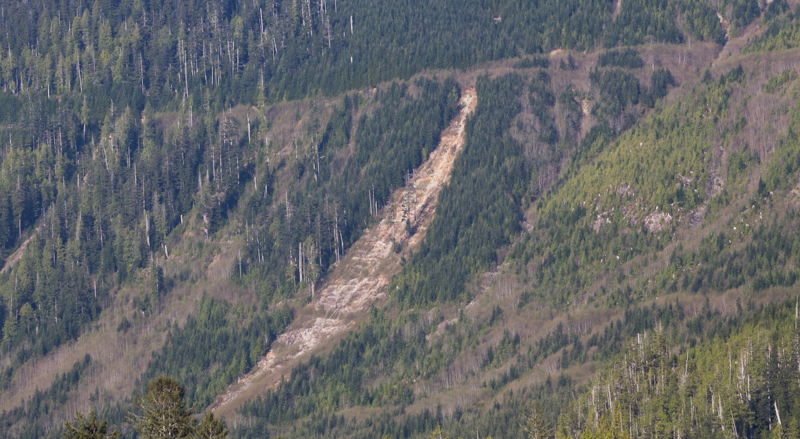 Yes landslides do occur naturally,but we can at least minimize our impact upon the environment by leaving these steep slopes alone. Remember that all that sediment gets washed into the streams where the salmon spawn. If that sediment covers the eggs,the eggs cannot get the oxygen needed to grow & thus will die. This reduces the number of returning salmon. Making the all the animals that depend upon the returning salmon less able to survive. When eagles,bears etc do not have enough food,the females naturally hold off on having any offspring. Reducing the wildlife for years to come. So you see,we as humans can disturb a area & not see the true affects for years to come. It’s one big domino affect basically. First time I have seen them helilogging! They were in behind Indian Bay down in Tofino Inlet. The helicopter had a strange blade configuration that I have never seen before! It had twin blades mounted side by side! This must produce lots of lift power! They were not traveling very far. Maybe a 60 second flight? 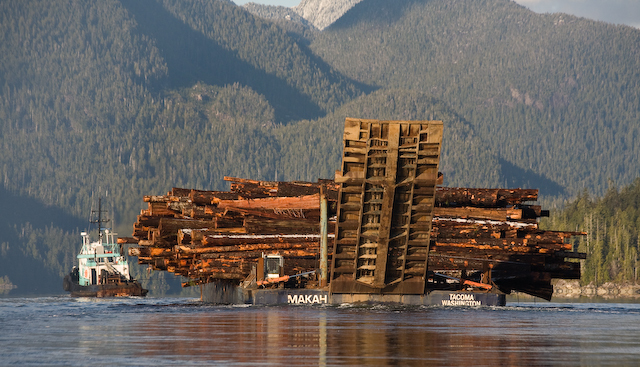 I came across these guys loading up a barge called the “Makah” in Rankin Cove. 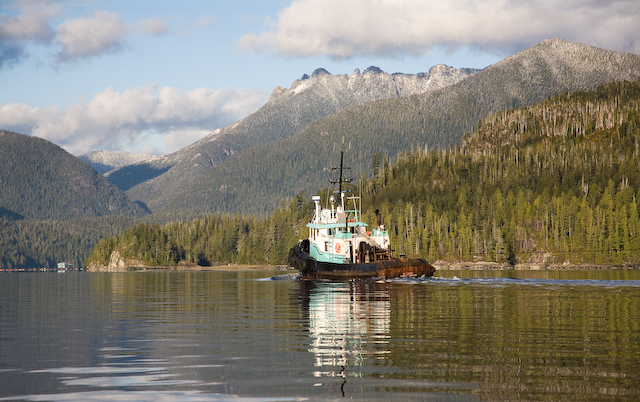 (Tofino Inlet) The Tug “Regent” will be towing this barge out of Clayoquot Sound tonight! They always come into and out of the area during cover of night. They do not want anyone seeing them taking the original growth out of here! All of these logs are original growth! 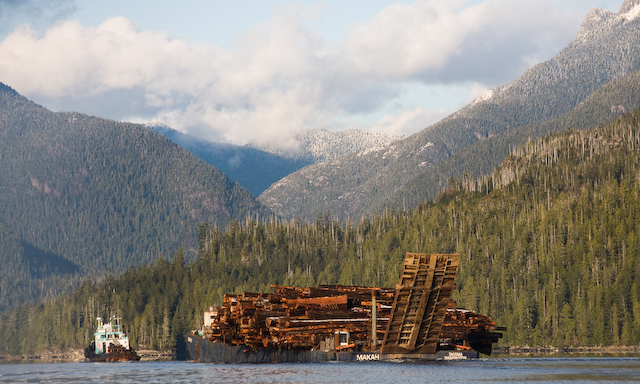 It always saddens me to see a barge leaving with such beautiful trees! I wouldn’t feel so bad if it was second growth but they don’t want that stuff,only the best will do for these boys! You need to understand that I had a major camera malfunction at this point! The mirror came off of my reflex mechanism and as a result I couldn’t see what I was shooting!! I had to point in the direction I wanted and shoot,than review the shot on the rear screen and make adjustments accordingly! The next posts were all taken blindly! I have never been so challenged to get a shot! 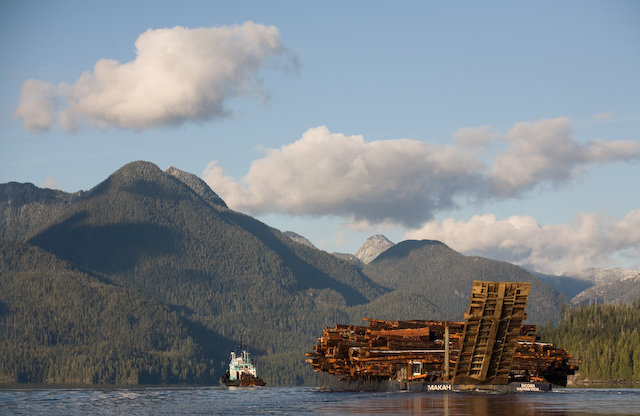 What they do is bring the logs to this spot by a large logging truck and they are unloaded above the large slide. They than push them down the slide into a boomed off area. 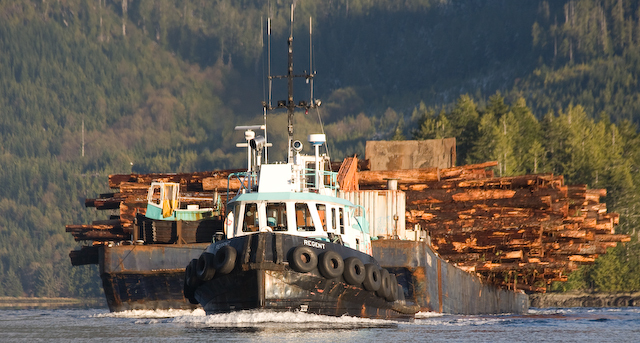 The small tug pushes the logs closer to the excavator so that it can grab them. The excavator than piles them carefully.